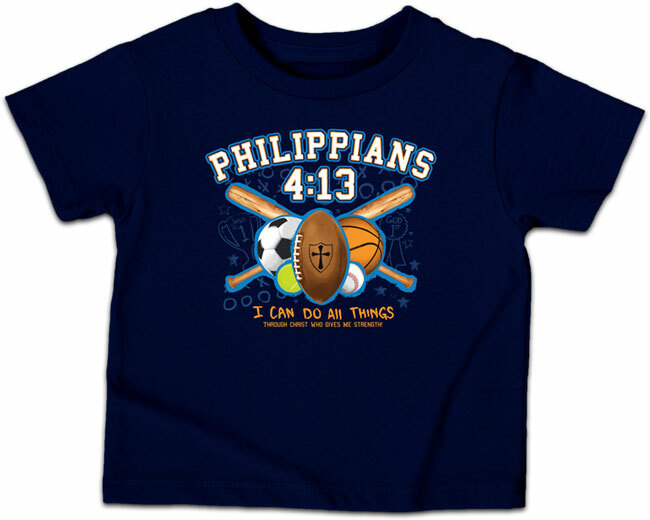 Browsing Category: Kidz Displaying 1-20 of 53 Found. 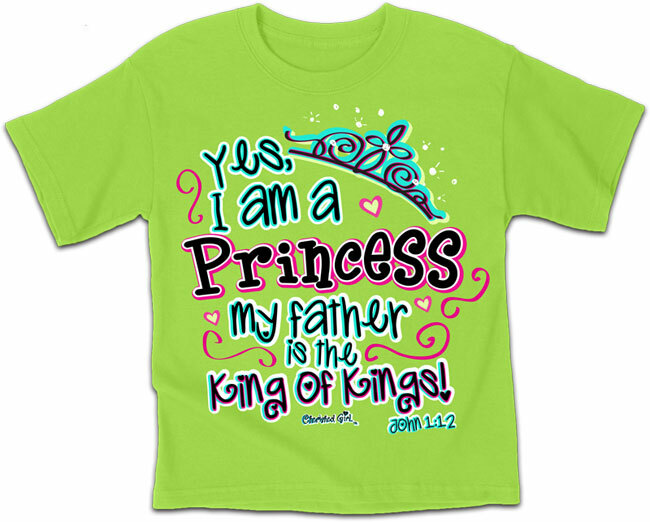 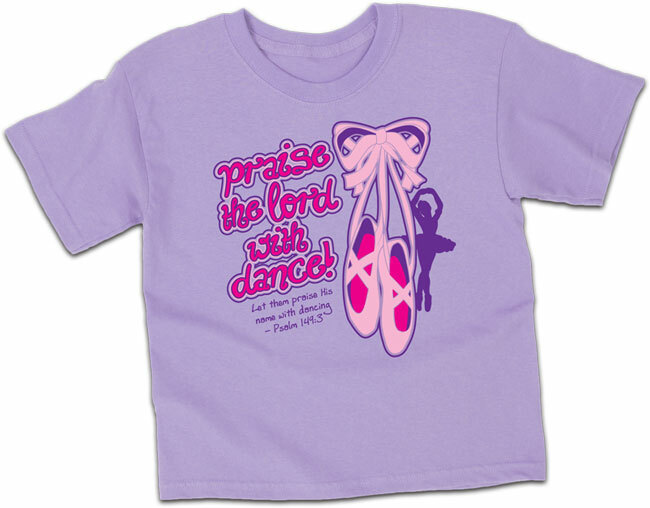 $13.99 - $13.99 The Cherished Girl Princess tee is all about being a daughter to the King of Kings. 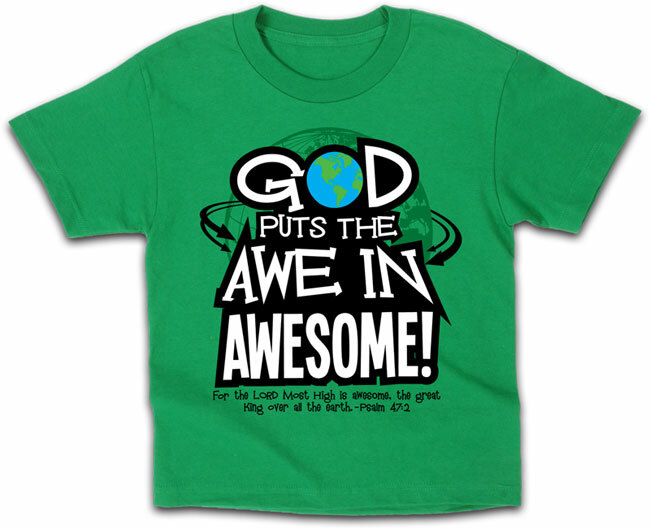 This lime green Christian tee is based on John 1:12 "But to all who believed him and accepted him, he gave the right to become children of God". 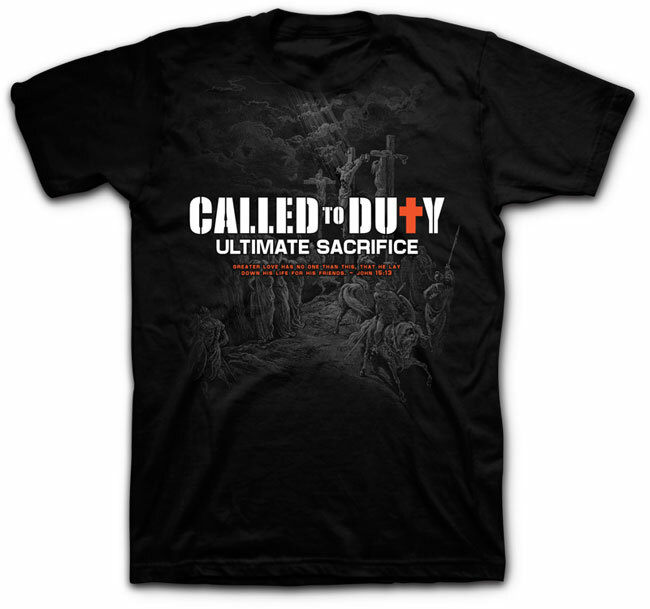 $12.99 - $12.99 The Called to Duty kidz t-shirt represents the ultimate sacrifice that Christ made when he dies for our sins. 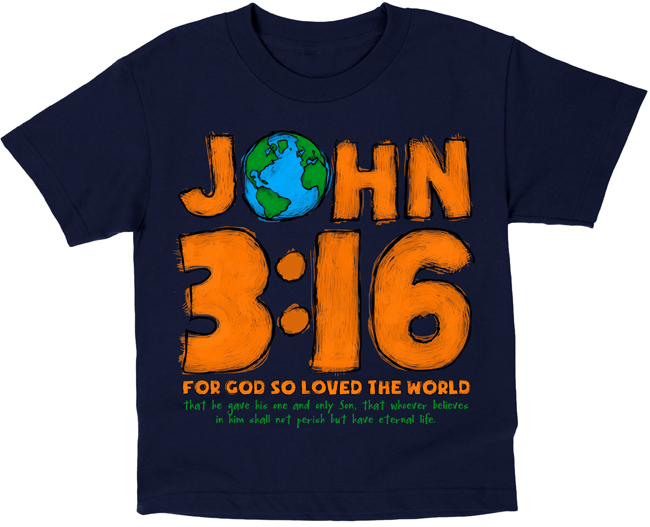 This Christian tee in black is based on John 15:13 "Greater love has no man than this, that he lay down his life for his friends". 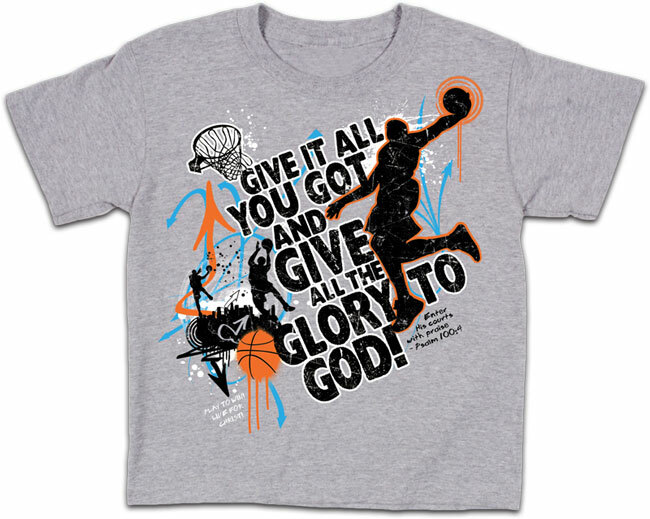 $12.99 - $12.99 Give it all you've got, and give the glory to God! 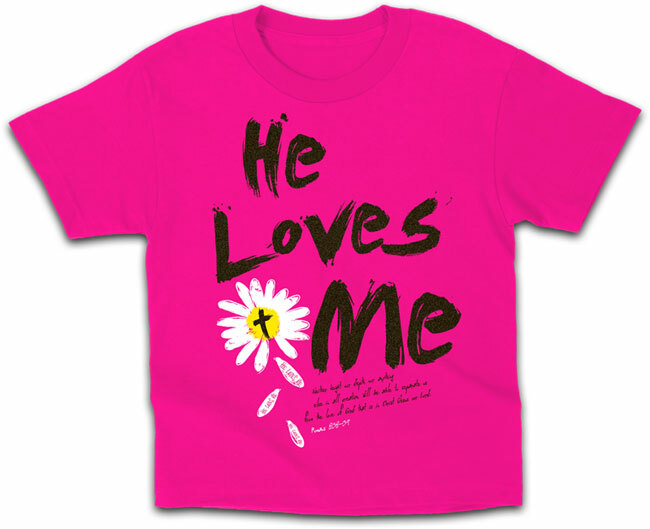 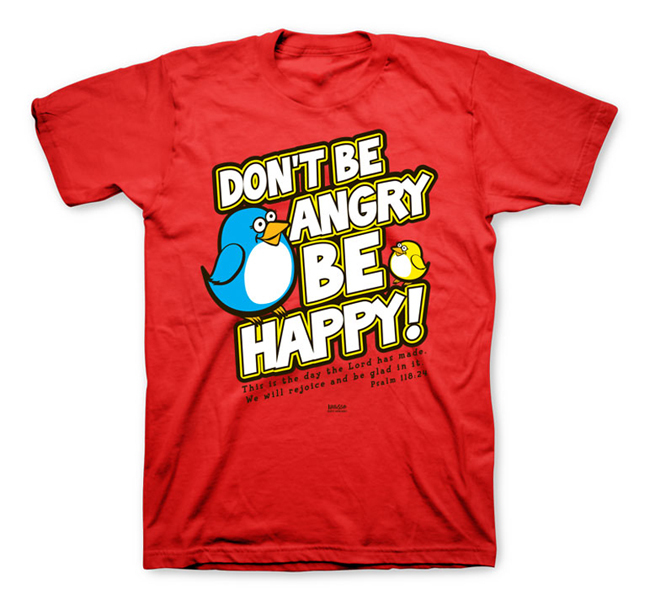 $12.99 - $12.99 Never doubt that He loves you! 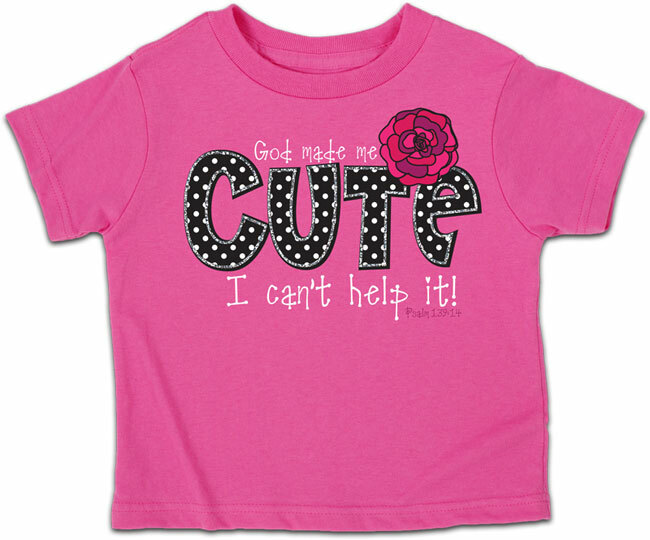 This design features a shimmer of glitter over the text and a puffed flower center that combine to bring this message to life. 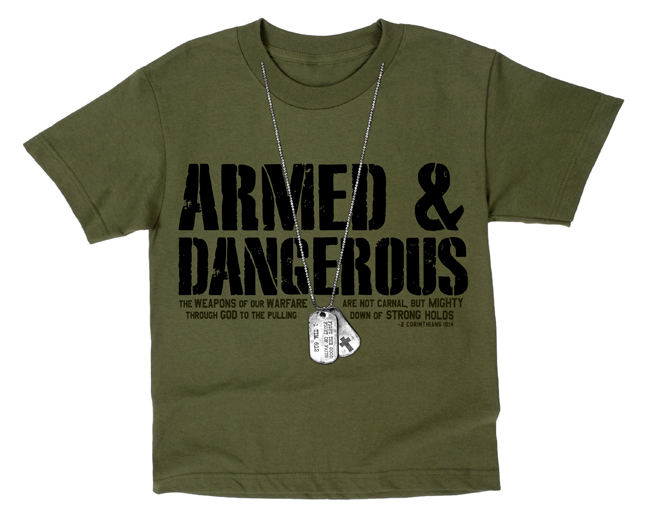 Displaying 1-20 of 53 Found.